Western Australia, Crawley, WA 6009, Australia. Canberra City ACT 2601, Australia. In the present paper we shall try to show how the mechanism of glacier flow differs from this simple model, and why it is impossible for the Greenland and Antarctic Ice Sheets to collapse. To understand the relationship between global warming and the breakdown of ice sheets it is necessary to know how ice sheets really work. 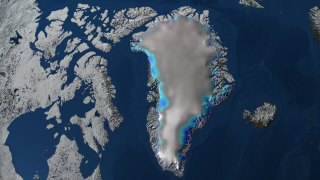 Ice sheets do not simply grow and melt in response to average global temperature. Anyone with this naïve view would have difficulty in explaining why glaciation has been present in the southern hemisphere for about 30 million years, and in the northern hemisphere for only 3 million years.